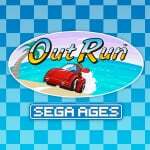 A few days ago, we found Out Run would be the next game added to the Sega AGES line on the Switch eShop. As exciting as the news was at the time, there was no mention of a local release. In the latest update, a spokesperson from Sega has told Eurogamer the title will be made available "worldwide" early next year. Given how Phantasy Star for the Switch has only recently been locked-in for 13th December locally, it's not all that surprising we won't be receiving Out Run until 2019. Sega is also known for drip-feeding fans retro collections over a prolonged period of time. As always, Japanese Switch owners are the lucky ones here, as they will still presumably be able to go for a drive at some point before the end of this year. 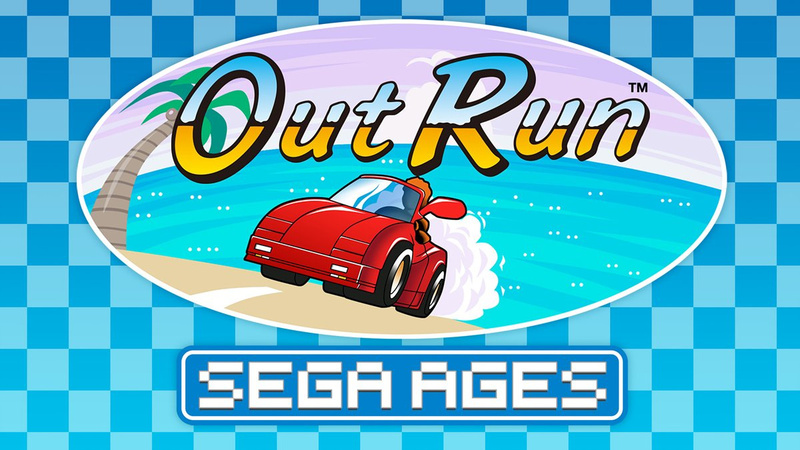 If you missed the initial announcement, the Switch eShop version of Out Run is being handled by M2 and will modernise the 1986 AM2 arcade classic - with 60fps, widescreen support and gyro controls to recreate arcade steering. Like the 3D Classics version released on the 3DS in 2015, this one also includes additional tune-up features and BGM. Are you ready to race in plenty of exotic locations in Out Run? Will you be downloading this on release when it does finally arrive? Tell us below. It's just a tease to tell us about games released in Japan with no idea when they will be coming to the West. Sega's release schedule for these games has been terrible. Sonic and Thunderforce IV early October after a delay, 2 full months later Phantasy Star and now 'sometime early next year' for Outrun. So much for them releasing 2 titles per month like they said. At this rate we'll be waiting AGES for the initial batch of 15. Can't wait to play Virtua Racing sometime early 2020! @OorWullie have to agree. I’m grumpy too though. Was hoping we would get this really soon. I love Outrun but I'd be more excited for Outrun Coast-to-Coast. @OorWullie There's nothing wrong with delays (well, there is), but when they say a date they have to deliver. We can forget about "1 or 2 games a month". And yes, I don't want to know there will be 30 games. I want the announced 15 to be released before June. I wonder if the Japanese Version has the Western Version, with language translated? Actually loved the 3DS version. I have a huge bias towards OutRun in general, so I can't be anything but happy to know it's coming to Switch. I have one word; sold. My JP account still has just under 1000 yen in it. Might be time to pull the trigger early when this drops. Thrilled about the gyro controls option. If anyone here has tried Super Hang-On on 3DS, they'll know that gyro controls are the best control scheme for these games. I actually played Super Hang-On MORE on 3DS despite being more of a fan of OutRun, only because of how good the controls felt. Hoping that this is the arcade version that came out back in 1986 please Sega don't give me a Sega Genesis version the real arcade version. About time will look gorgeous on the switch. Would be nice to see Turbo Outrun, Outrunners, Out Run Coast to Coast as well. I don't why these games take AGES to be ported when they already done a 3DS version.